Since the dawn of the Digital Age, the Internet has impacted just about every facet of our lives – from how we receive news to how we interact with one another, and so much more. It’s even changed our shopping habits and what we’ve come to expect from what used to be such a simple prospect: choose what you want and pay for it. These effects extend outside the confines of the World Wide Web, as well. A prime example is retail businesses, which need to keep up with the evolving expectations of customers who have become accustomed to digital environments. Online, stores have countless options for accommodating their customers. Everything from product recommendations to the actual interface can be instantly modified based on each customers’ unique preferences. For the vast majority of its history, retail stores have only ever been able to offer shoppers one static presentation, relying on their employees to “customize” the rest of their experience. But, what is digital signage? WHAT IS DIGITAL SIGNAGE AND WHAT DOES IT DO? Let’s look at each of these essential pieces in greater detail. WHAT IS DIGITAL SIGNAGE HARDWARE? Digital signage hardware is the actual physical technology required to build these systems. There is an almost endless list of components that can be used to ensure a digital signage system delivers both of these responsibilities. The following are the three most common examples. 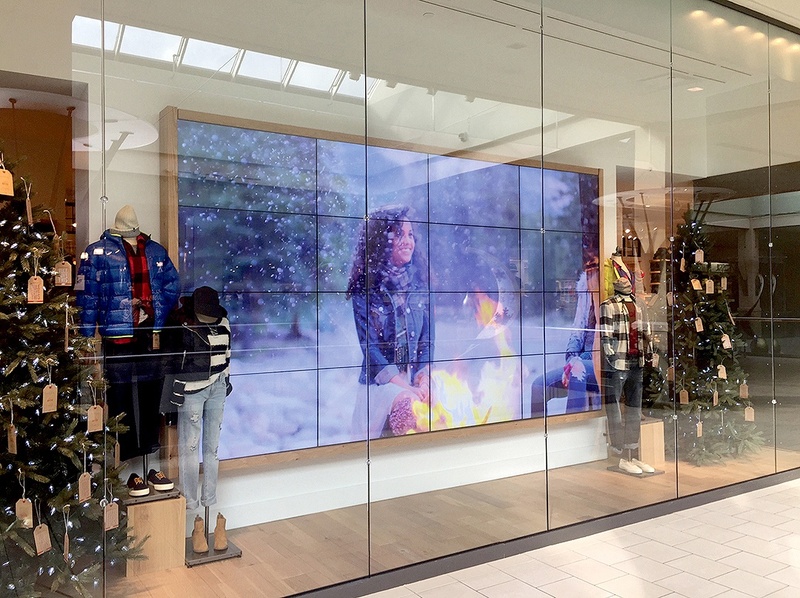 When most people think of digital signage hardware, they think of the screens. After all, this is the component that will actually display the company’s content. One of the most popular options for these screens are LCDs, but the best models differ significantly from the consumer versions sold at department stores. For one thing, commercial displays are designed to run for at least 16 hours a day, 7 days a week – consumer displays couldn’t possibly do the same. Commercial displays can also be inverted to offer content in portrait mode. Consumer LCD screens won’t cool properly if they’re deployed this way. Many companies cluster commercial LCD displays, too, forming a much larger video wall system. This requires especially slim frames, called bezels, something department-store TVs don’t offer. That said, the best screens for video walls tend to be LED. They can be tiled together without showing any seams whatsoever. As they don’t have the same operational requirements as LCDs, they don’t have to be deployed as rectangles, either. Some companies even use LEDs to create curved displays. Finally, display resolutions differ between LCDs and LEDs, too. For example, an LCD display can reach Ultra High Definition (UHD) by fitting 3840 x 2160 pixels into just a 55-inch screen. Doing the same thing with an LED module would need a display footprint that would take up a lot more space. The media players that support digital signage displays have changed a lot in just the past few years. Traditionally, external media players were used to provide in-store signs with content. These players were usually low-cost, industrial-grade PCs that would run digital signage software – a component we will discuss in detail later on. More and more, companies are turning to devices that are specifically designed to play the media required by digital signage. Companies like Samsung have even introduced flat panel screens that are manufactured with media players embedded inside. This eliminates a lot of upfront costs and simplifies installation (e.g. there are fewer cables required). It’s also important to remember that digital signage installations require specific mounting systems in order to safely install them where they will have the greatest impact. While these systems look very similar to the types of brackets consumers use to mount TVs in their homes, the kinds designed for digital signage are made to support more weight. They also make it easier to access the back of these screens for servicing (e.g. scissor systems that allow the screens to be pulled away from the wall). For help choosing digital signage hardware, check out this comprehensive guide. In order for digital signage hardware to do its job, it must be connected to software that will command its operation. There are three different types of digital signage software that are required to execute an effective in-store strategy. Any network that includes devices deployed across multiple locations requires device management software. Having each and every device on a network acting independently threatens to defeat one of the main purposes of deploying a digital signage system: maintaining a uniform strategy across all of a company’s locations. Using a platform to monitor and manage all network devices from one central command point ensures hardware never becomes the weak link in a digital signage strategy. Assessing individual players for network status, temperature, memory usage, etc. Depending on the type of hardware chosen for a digital signage system, device management software can be assigned any number of other tasks, as well. However, its purpose remains the same: to make managing devices all over a large geographic area – even the entire country – as easy as doing so for the ones in your office. In the next section, we’ll go into detail about digital signage content. Before we do, let’s talk about the software required to deliver that content via the hardware we just explored. A CMS (Content Management System) manages and schedules digital signage content, transferring it to the player software on each location’s remote player over the Internet or a local network. The digital signage player software then takes these instructions and follows them by delivering the intended content on the intended screen at the intended time. These platforms can be cloud-based or hosted. The advantages of the former are that it doesn’t require any kind of onsite server, can be scaled easily, and remotely accessed on the network from anywhere. It’s also much easier to deploy streaming content through the cloud compared to a LAN-based CMS, which would need to connect to the web API. Playlist Software – A digital content playlist is similar to the kind you’d create for your favorite music. You pick the songs you like best, arrange them in a certain order, and then hit “play”, knowing that your device will follow the sequence in order and, often, on repeat. The same approach can be taken with a digital content strategy. Companies can choose which media to play and whether it should be done on loop, according to a certain sequence, or at random. Scripted and Rule-Based Software – Instead of a preset playlist, many companies prefer that their content is played based on certain rules. For example, at a restaurant, some content may be scheduled to only play during the lunch-hour rush between 11am and 2pm. There may be other content that only plays during happy hour. This type of software can also assign meta tags to content, so that it only plays on specific devices with that same tag. These tags make it much easier to deploy content across a large network that may feature a number of different device-types. Hybrid Software – More and more, companies are opting for a combination of the above two options. It lets them create playlists for some forms of content (e.g. information about their store) and assign rules and meta tags to others (e.g. information specific to dates and times). As we just touched on, the CMS in a digital signage system sends instructions to the digital signage player software. This component then plays the content on the hardware as directed. 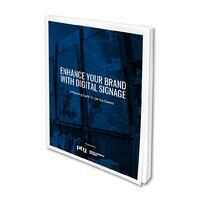 The right platform for your company’s digital signage strategy will depend on how you intend to deploy content. For example, if you want to stream content to your players, you will need a consistent Internet connection and a platform designed for it. Otherwise, most versions can download content, so its playback is uninterrupted even if there is no available Internet connection. In this way, modern digital signage player software does more than just play content. It also plays an active role in helping companies improve it. WHAT IS DIGITAL SIGNAGE CONTENT? Between the hardware and software currently available, companies have almost limitless opportunities for engaging their markets onsite and provide a unique, captivating experience that enhances and differentiates a brand’s retail experience. With the right technology in place, nothing is stopping businesses from delivering any message they want. At fast-food and fast-casual restaurants, menus are typically displayed high up on the walls where customers can easily see all of their options from just about anywhere. This type of display is referred to as a menu board. Fortunately, restaurants no longer need to settle for the conventional versions (letter- or chalkboards) which are cumbersome and time-consuming to change. They also don’t lend themselves well to franchises, where all the menus and prices often have to change at once, on the same day, to the same thing. 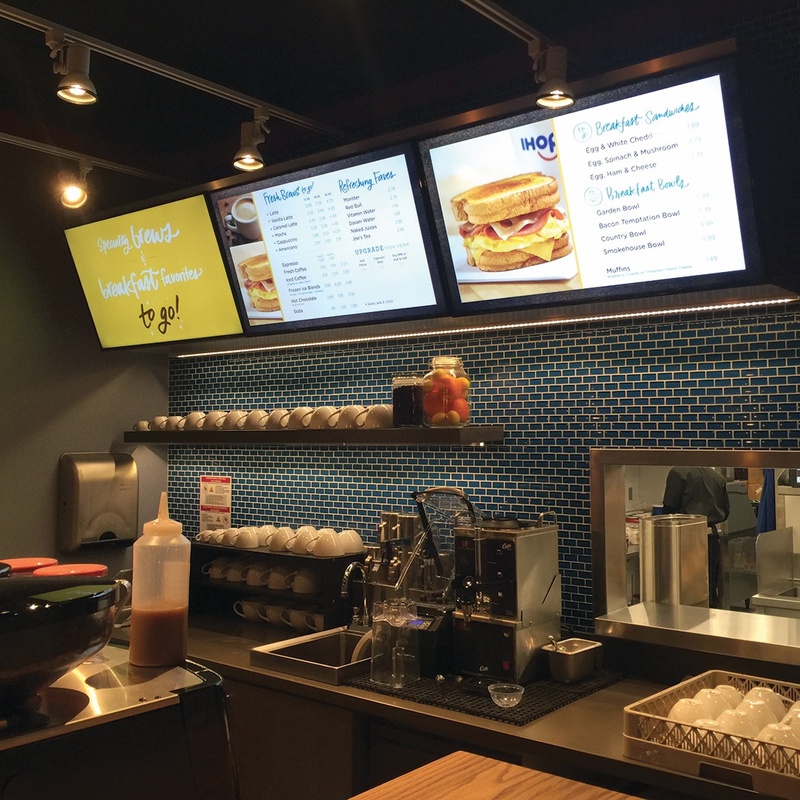 A digital menu board can be changed at a moment’s notice across an entire franchise spread all over the country. This includes providing high-definition images of the various items the restaurant offers. The benefits of in-store displays are many, but when you need to haul out physical display boards and wait for promotional materials to arrive, their effects are drastically reduced. Just like with menu boards, in-store digital signage makes it possible for companies to immediately react to new opportunities by taking advantage of them with new promotions and campaigns. For example, numbers may show a company that certain products will soon take up too much shelf space if they’re not sold off in coming weeks. With digital signage, that company can create an attractive display announcing their new sale price and deploy it right away. Some products need demos in order to do their benefits justice. It could be something as simple as explaining the high-quality materials used in an athletic shoe or showing how a new kitchen appliance works. Whatever the case, digital signage can provide this kind of advertisement, freeing up your employees to help customers with specific questions and concerns. Every office and public building needs a directory board, so guests have an easy time finding their way around. Digital directory boards look especially professional and offer a great opportunity for branding. Of course, whenever a new company leases space or a current customer changes their name, updating the board using the CMS is effortless. Finally, almost any digital display can be made interactive with a touchscreen. For example, visitors can scroll through a directory board until they find the name of the business they want to visit. Similarly, customers can select the product they’re interested in and learn more about it until they feel comfortable making a purchase. The great thing about this technology is that it’s rich in feedback, too. They can report on what customers care about most when considering a buying decision depending on what kind of content they interacted with most. Now that you understand what your options are for content, as well as the software and hardware required to deliver it, let’s focus on deployment. In order to successfully implement your digital signage strategy on location – or across many – you’ll need to plan for three essential elements. How will your digital signage solution connect to your company’s CMS? As we mentioned earlier when we covered CMSs, connections that support streaming have become the most popular option because of how quickly they can display new content. They also require less action on a site-by-site basis as the content can be immediately switched and played from one remote location. Depending on the complexity of your digital signage system, installation may require any number of different tasks. For example, most companies with numerous locations don’t have the same physical spaces across every one of them. Some may even differ quite a bit. These companies need onsite surveys to assess what kind of deployment will work best for each one. Then, they need an installation plan that will factor in the different schedules required by the different types of locations. Procurement is about more than just buying the required hardware in bulk. Effective procurement requires working with a vendor who understands digital signage and can recommend the best solutions for a company’s unique goals. While these vendors can offer discounts on their partners’ products, their true value is in leveraging their experience to ensure their clients are able to offer the in-store experience they want for their shoppers. It communicates, educates, informs, sells, and entertains – often all at the same time – helping to turn shoppers into customers.